Any webmaster who is involved with pinging websites‘ content offerings to search engines most certainly knows the importance of search position when it comes to several things. Most notably, the amount of traffic you derive from search will in large part be determined by how well you rank in a given SERP or through your PPC campaign: the difference between first place and fifth place is exponentially vast. Because of this, many people have been asking about the effects that search and campaign positions can have on click through rates. The answer is to this question is a bit nuanced, but there is a clear trend in the findings. 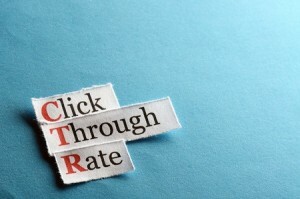 In the following article, we’ll detail what you can expect from your position when it comes to click through rates. As we alluded to prior, there is a huge difference between the click through rates of the first site in a given set of search results and each subsequent one. The same rings true for PPC ads. Search engine users expect that the most relevant websites will be displayed first, which means that they will almost invariably look there. In addition to this, people are generally lazy: it makes sense that we would click on the first set of links we see, even if we didn’t believe them to be the most relevant. The difference between the first position and the third position is roughly three fold in search results and ten-fold in PPC campaigns (10% versus 1%). Relatively speaking, you shouldn’t worry too much about your PPC position if you cannot get it above third in AdWords or other similar paid advertising formats. This is because by the time you get to third place, you’re already looking at around a 1% click through rate. If we continue to move down the list, we’ll see reductions in clicks – but not comparable to the drop-off between first and third. This means that working on boosting your ranking in search results and PPC campaigns alike will not gain you much benefit in terms of click through rates unless you can manage to squeeze into at least third place. With this information in hand, you can decide whether your efforts are best spent on attempting to increase rank, or focusing on pinging websites for other SEO enhancements. When you analyse search behaviours and traffic across multiple devices, you’ll find that not only does your search position vary, but the links that individuals will click on also varies. While the first position in ads and search still gets the most attention, mobile searches actually are less stratified when it comes to the previously mentioned findings (which doesn’t make sense, considering that screens on mobile devices are smaller). Nevertheless, these differences can help or hurt you, depending on where your primary source of traffic originates. By analysing this further, you can determine whether it is worth the effort to try to push your site in PPC campaigns or search from fourth to third, or to spend more money on ads and other forms of SEO. « SEO or SEM: Which is Right for Me?